With the rise in cloud computing, we’ve seen a series of service offerings come into play. One of these service offerings is PaaS- Platform as a Service. Applications can now be developed on various cloud development platforms without worrying about the cost and complexity of managing the underlying software and hardware layers. These PaaS providers provide turnkey services to developers to get the apps up and running in no time with no infrastructure concerns. Windows Azure: Microsoft had launched its cloud platform Windows Azure around 2 years ago and it is still gathering pace. It is an open cloud platform that will help in quickly building, deploying and managing applications across the global network of Microsoft’s data centers. Azure can be called as a “platform cloud”. This basically means that once your application is moved to the service, you can keep your worry of managing the infrastructure running beneath the application at bay. Google App Engine: Google has made a splash with its Google Apps suite of business and consumer cloud applications and its Google App Engine, the developer platform that lets users build and host Web apps in the cloud effortlessly. 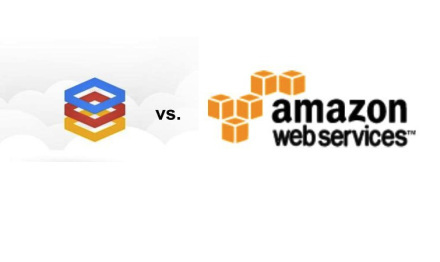 Amazon web services: In a traditional sense Amazon web services cannot be termed as a platform. Amazon’s AWS Elastic Beanstalk gives a new dimension to developers to push their apps into the Amazon’s cloud. Apps are uploaded by the developers and the app health monitoring, capacity provisioning, load balancing, deployment details and auto-scaling are handled by Elastic Beanstalk. With S3 the scalability of applications is much more easy and affordable. Another major advantage in using Amazon web services is that no prior software or hardware needs to be installed by the client to use the system. Connect with our cloud experts today to see how we could help adopt cloud technologies to bring value to your users or customers. Contact us now on 1-877-RISHABH (1-877-747-4224) to know how the above mentioned cloud development platforms help boost your business. Previous PostiPhone to iPhone 5 – From Innovation to Technological MarvelNext PostMobile Marketing – What’s in it for a Marketer?